I am posting the link above here for those of you who may have missed it. This article does a good job of refuting a number of the allegations Voris and company recently made about the Society. The SSPX put into short form what the Voris group weapons of attack were: That the SSPX were “”disobedient to the pope and the Church”; “schismatic”;”excommunicated”; and even “lacking priestly faculties”. Disobedient to which Pope? The heretics parading as ‘popes’? That is like saying one can be disobedient to the devil because one it obeying God. Next: Schismatic from what? 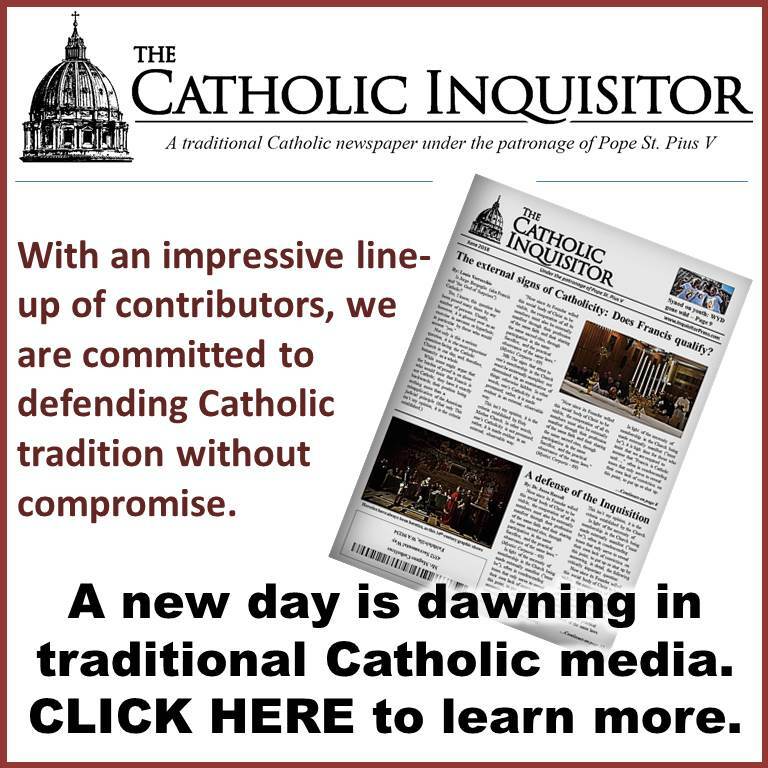 The New Order church and its rehabilitation of Errors condemned by the True Magisterium? Next: The ‘lacking priestly faculties’ an aboslute joke. The majority of Novus Ordo priests and Bishops underwent a rite that is not Catholic, that was like manufactured to purge Apostolicity from the ‘priesthood’. To, in short, shut out the workings of the Holy Ghost. Since the cat’s out of the bag now and other people have also mentioned certain things, I figure I can now also share something. There was time for a meet and greet and I had a chance to speak to Michael and brought up the brouhaha that was going on with regards to the rift that had opened up between him and Louie and the Remnant etc. It was here that Mike told me that he really has no problem with Louie or Matt or Venari or anyone personally and in fact liked them. But what he could not go along with was that, as his recent program revealed, was what he saw as commentary by Louie etc. that made the SSPX out to be an orthodox group that Catholics could join and this specifically was his main issue. He’d also told me what he’s already brought up on his show now. That he has been informed by high ranking Cardinals in Rome, who he didn’t name but considered Orthodox, and they told him that the SSPX was in schism and he accepts their view. When I brought up how this could be considering what the Church has officially said with regards to the situation of the SSPX and that Benedict XVI lifted the excommunications and that even right around that time the SSPX were celebrating Mass at the altars of St. Peter’s, Michael said that according to the Cardinals, it’s probable that Pope Benedict XVI was somehow tricked or deceived into lifting the excommunications, that he shouldn’t have done that, and the fact that the SSPX can celebrate Mass in the Vatican was irrelevant. Michael did not elaborate further, it didn’t look as if he’d wanted to, and also to be fair there were others waiting to see him so he couldn’t spend that much time with me. I’d asked at the end if perhaps he could present what he knew in a special FBI program or something so we can learn more. He mentioned that he was indeed working on something of the sort. I believe some other commentors have mentioned something like Simon Rafe also declaring that there would be a special on the topic of the SSPX awhile back, but that thus far nothing’s turned up. Maybe this Mic’Up is the first salvo, who knows? But as everyone has already seen, it hasn’t made a great case. The above were just some things Mike shared to me personally, and so I’d kept my mouth shut about it so as not to make any trouble for him at the time, not knowing if anything he’d said was known outside of what he’d said to me. And to allow him an opportunity to make his case so I could learn about it from his perspective. That hasn’t quite happened yet, but we’ll see. What I can also share are my thoughts and impressions if they can better help Louie and Mike resolve this situation. I believe Michael Voris genuinely believes the SSPX is in schism and that he genuinely believes souls are endangered by going to their services. So in an ironic way, he is indeed acting in what he believes are the best interests of the Church, no different that Lefevbre… in that both might’ve made hasty decisions and actions that in hindsight may not be so wise as Louie elaborated in his last video. I don’t know what these unnamed Cardinals told him, and in terms of what is publicly known it does seem contradictory that Mike would believe one Pope’s actions with regards to the SSPX could be a mistake, while refusing to openly criticize actions of Pope Francis which are far worse. But I guess that since Benedict is no longer the Pope, that now it is okay to think otherwise of his decisions? Granted Mike has not publicly stated this about Benedict outside of what he’d privately mentioned to me and possibly others, but even in this conversation he looked as if he felt conflicted saying that, so let us please not just irresponsibly assume that Michael Voris is officially criticizing Benedict because he too seems confused and conflicted about this as much as anyone else despite how the Mic’ed Up segment comes off. Though it does logically follow that if Michael Voris wishes to hold to the opinion of these Cardinals about the SSPX’s irregularity, that Michael must then bump heads with the statements and actions of Benedict XVI, so in that sense there is no escaping the clear contradiction. I am convinced that Voris is genuinely concerned for the salvation of Catholics and for Church Unity. So even a hint of irregularity about any group would rightly, under normal circumstances, be prudent to avoid such a group and discourage others from going there and also of discouraging people from going to any sites or blogs run by people sympathetic to such irregular groups, and to always adhere to the official recognized authority and jurisdiction. BUT BUT BUT BUT BUT BUT. This is NOT a normal circumstance. And the currently vaguely declared status of the SSPX comes at a time when the authority itself is confused as to its own jurisdiction and disoriented as to who is in full communion with who. We have been beset with a form of diabolical insanity. Michael Voris well knows this, and thus he should know better. But perhaps he has had some experiences that trouble him that we are not privy to that are causing him to stumble in this regard. And truly there is no excuse for the shoddy journalism and tactics that attempt to subtly group Louie, the Remnant, CFNews and others with Sedevacantists. Anyone who follows any of these sites and their authors knows full well that ChurchMilitant.TV’s accusations of them are unfounded, and that it is borderline calumny to try and paint their articles and opinions as being those of sede’s or of being somehow disrespectful to the Pope. It could not be further from the truth. It’s one thing to directly go after Sedevacantists. It’s another thing to say that blog’s like, say, Mundabor’s, may be too ‘impolite’ when speaking about Pope Francis (and I read Mundabor). But it’s quite another to equate that Vennari, Louie, Matt or Ferrera engage in anything like either of those two. It’s so entirely misrepresentative, that I am confused as to how Michael can do this in total contradiction to the times when he is honest and clear. It is so out of character that I almost want to believe that Michael is purposely doing this and naming Louie, Matt and Vennari, because there’s some kind of gun to his head and that he’s actually secretly hoping to send people to Louie, Matt and Vennari, because they can say the things he cannot say. But I don’t at all think this is the case. So I suspect there’s some devil in the details and that it has to do with who these Cardinals are that Michael trusts and what they’ve specifically told him that he thus far hasn’t shared with us, perhaps because he feels he wants to protect these Cardinal’s identities. But it could be the case that these Cardinals are taking advantage of Mike. Who knows? Reading any more into this would only be undiluted speculation. I will say this though… I think it was in the Philippines, where during a Q & A video segment, someone had asked Mike about the 3rd Secret of Fatima, the Consecration of Russia and why the Church hasn’t acted on it. Mike danced around the question and like others usually do, said it was just private revelation that nobody was obligated to follow. Similarly when I was talking to Tim Haines, Fatima had come up and he also was cagey about it suggesting that other consecrations of other cities or countries haven’t stopped them from rejecting God, so what precisely would we expect from a Consecration of Russia? This of course misses the point entirely, but it just seems to me, and others have noticed too, that there seems to be a disease amongst even very faithful Catholics loyal to the Church, that any criticism of the Pope is dangerous territory. Either because they are under the grasp of Papalotry, or because they are afraid that criticism of any of the Popes will lead to danger of schism and Protestantism. And thus refuse to talk about the failures of several Popes with regards to obeying Our Lady of Fatima. Or as is most likely, know that there is a problem, but psychologically refuse to admit it for it means that they will now be intellectually and morally obligated to do something about it, which means that they have to face a psychological Wall of Jericho and its giant inhabitants that stand before them dressed in the clerical garb and sitting on the seat of Peter. And this becomes too difficult for them. On the other hand, all those who’ve diagnosed the problem, are precisely those men – Louie, Matt, Vennari, Ferrera, Gruner, Sungenis, etc. 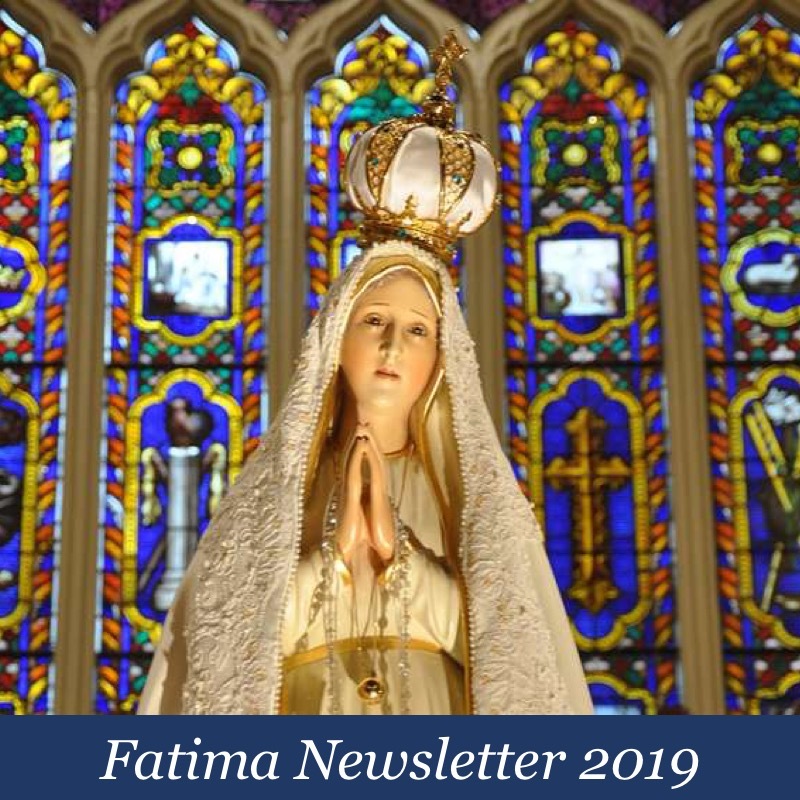 who know and openly recognize the fact that the Church has failed in its obligations and mission by ignoring or outright failing to fulfil Our Lady of Fatima’s requests, and acknowledging numerous prophecies of the Queen of Heaven about the evil that has infiltrated the Church. Michael Voris and others also see these things, but will only dip his feet in the water so far. Those on the side of truth, and who are also admonished and betrayed for it are also those firmly on the Mother of God’s side. Others are either ignorant or simply content to pay her lip service, but ignore her troublesome requests. ChurchMilitant.tv and Michael Voris will grasp the situation they’re in, when they finally come to terms with the facts about Fatima, and the failures of several Popes. But I think that it will take a great disaster to occur before they finally wake up. ## If the Pope was “tricked or deceived”, why did he or his successor not renew the excommunication ? This kind of wilful and needless confusion does my head in. It seems that the Papacy these days exists solely to cause confusion & scandal. Since Voris’ allegations have not been supported, it is impossible to take them as a basis for action. Until & unless they are shown to be reliable, I for one am treating the SSPX bishops as Catholics. It is absurd to treat Francis & his lackeys as Catholics: the hierarchy is less important than the Faith they are supposed to serve. Soooo…..Mundabor has been tarred with the same brush as those mentioned above: Michael Matt, Chris Ferrara, John Vennari, and our host, Louie Verrechio. I like to think I am not SO old, but accusations about the Remnant and CFN fellows have been going on for a LONG time. It makes me wonder that if they were really so nefarious, would they really be in business all these years? When Michael Voris has spent 30 years on the front line, I will perhaps lend him my ear. Until then…..probably not. Michael Voris has never mentioned Mundabor by name, but he is aware of it in that he even created a video segment denying he’d ‘seen the light’ which was a title Mundabor used when making a post about what Voris had reported about Cardinal Burke standing up to the Synod and Pope Francis. Voris also took down that video report and then apologized for it. I can’t help thinking that when the CMTV segment speaks about impoliteness and slanderous names used against the Pope, they are referring to blogs like Mundabor’s. There should be little doubt about who or what organizations I communicated with and why, and I must say that I have received respectful and courteous replies to everyone except people like Michael Voris who now has a forum comment section. No, Michael Voris first deleted my own respectful (but firm) comments and then banned my comment identity. In other words Mr. Voris does not want to hear from anyone who disagrees with his apparently anti-Traditional Catholic crusade presently manifested in bad mouthing the SSPX priestly society and Archbishop Marcel Lefebvre (who I do not believe was ever excommunicated). That’s what I tried to tell Mr. Voris via his Vortex forum comments section. 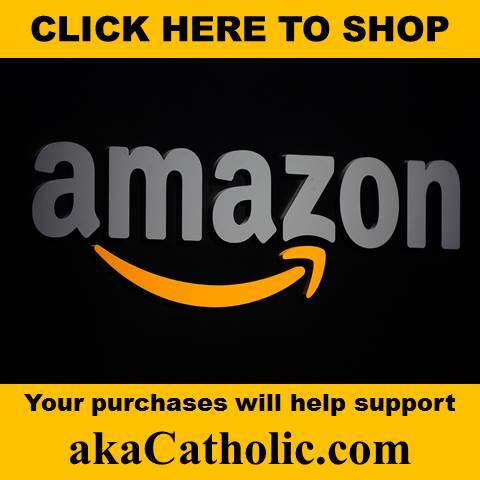 As anyone who has done their homework here and other places knows, evidently Mr. Voris has sold out for that same 30 pieces of silver, given him by a benefactor who whats to promote everything Vatican II without exception. Hence it should be obvious that either Mr. Voris thinks he has no choice except to compromise a large part of the faith and truth, in order to defend a portion of that faith that his benefactor does not object to. If so it seems tantamount to selling a portion of your soul in order to save what’s left of it, theologically impossible of course but that begs another question. If Mr. Voris is well informed enough in the Faith, and still in his right mind, how can he make such a decision? Finally, as it concerns the SSPX society, I do not believe they are “outside the Church”, and as I said that the Archbishop was ever excommunicated. 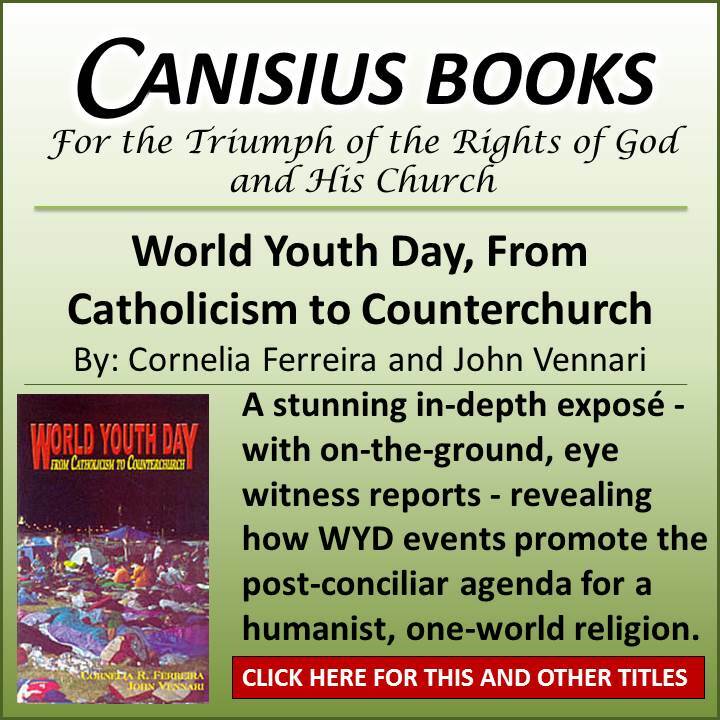 I also stated that to Church Militant (contact@churchmilitant.com) with copies to everyone I know in the Traditional community, and to the local ordinaries in both the latin and eastern rites, which includes certain ordinaries who have in their jurisdiction certain FFSP chapels who are obliged to obey those (Vatican II) ordinaries. Consequently I have to wonder why certain FFSP pastors have riled against the SSPX society from the pulpit during their sermons, if not because it’s ordered by those ordinaries. I hope I live to see the time when the only Church we have will purge itself of the false Vatican II mentality and welcome SSPX back to their rightful and well deserved place in this Church. Truer words were never spoken when Paul VI said the smoke of Satan had entered the sanctuary. Archbishop Lefebvre knew that, and was slandered for being faithful in his vows to God. Unfortunately Paul VI never took steps to correct Vatican II errors, even though he banned the “architect” of that “council” to an obscure middle east post. I marvel at people like you who have been in this battle since the beginning of the deception of Vatican II. I am grateful to people like you who have fought the battle well before I had my eyes opened wide enough to know there was a battle of this magnitude going on. The above comment was in response to the comment of provobis.